Representative Ron DeSantis, the Republican nominee for governor in Florida, drew accusations of using a racist dog whistle on Wednesday after saying in a television interview that voters should not “monkey this up” by electing his opponent, Andrew Gillum, who would be the state’s first black governor. Mr. Gillum, the mayor of Tallahassee, won the primary election in an upset on Tuesday night, handing a major victory to the liberal wing of the Democratic Party. In the interview with Fox News on the first day of the general election campaign, Mr. DeSantis, 39, who has President Trump’s support, attacked Mr. Gillum’s candidacy by painting him as a far-left socialist. Terrie Rizzo, the chairwoman of the Florida Democratic Party, blasted Mr. DeSantis’s comments. “It’s disgusting that Ron DeSantis is launching his general election campaign with racist dog whistles,” she wrote on Twitter. Geoff Burgan, a spokesman for Mr. Gillum, referred to Ms. Rizzo’s tweet as a response to the comments. In a statement, Stephen Lawson, a spokesman for Mr. DeSantis, rejected the idea that the candidate’s comments had a racial undertone. Monkeys have long been used in racial slurs against black people, and many took note of that history. Sharon Austin, a professor of political science at the University of Florida, said she saw Mr. DeSantis’s language as a not-so-subtle racist dog whistle, similar to what many black politicians — including former President Barack Obama — have faced during their campaigns. Critics online said that Mr. DeSantis’s description of Mr. Gillum, 39, as an “articulate spokesman” for liberal views was another veiled racist message. The word “articulate” has a history of being used by white people to praise certain black people in a way that carries a troubling subtext of surprise at their intelligence. Democratics immediately seized on Mr. DeSantis’s comments. “It barely took 12 hours for Trump yes-man Ron DeSantis to make a racist comment about his opponent,” Zach Hudson, a spokesman for the Democratic political action committee American Bridge 21st Century, said in a statement. Mr. Gillum’s victory on Tuesday was propelled by an endorsement from Senator Bernie Sanders and financial support from Tom Steyer, George Soros and Collective PAC, a group dedicated to electing African-Americans. He supports universal health care, legalizing marijuana and abolishing the Immigration and Customs Enforcement agency — as well as impeaching Mr. Trump. 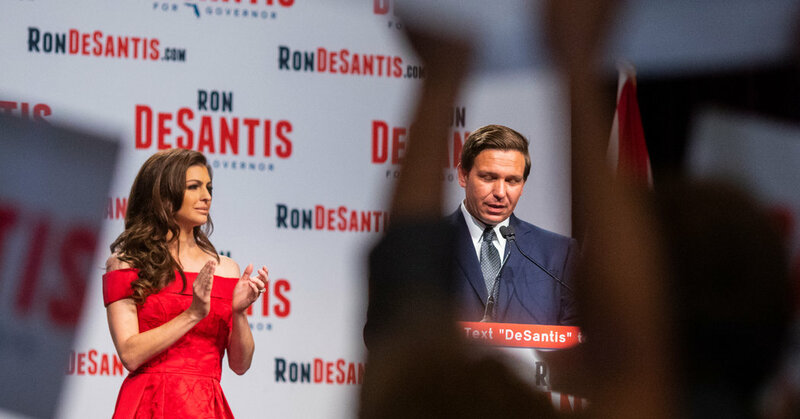 Mr. DeSantis’s own victory signaled the influence of Mr. Trump’s endorsements on state Republican races. Mr. DeSantis gained attention from conservatives last year by making television appearances on Fox News to defend the president, who responded with his own praise. Mr. Trump gave Mr. DeSantis a full-throated endorsement in June. Mr. DeSantis and Mr. Gillum will face off for more than two months before voters go to the polls in November. “It’s going to be a long and probably pretty ugly campaign,” Dr. Austin said. March 12, 2019 Comments Off on What went wrong at Superdry?